Composed by Jennifer Dowell and Michael Barrett. Shawnee Press. General Worship. Octavo. 8 pages. Shawnee Press #EA5163. Published by Shawnee Press (HL.35009076). 7x10.5 inches. Jennifer Dowell/Michael Barrett. Michael Barrett and Jennifer Dowell have crafted a simply beautiful song for worship. 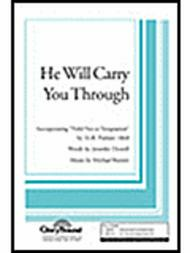 He Will Carry You Through will sing its way into your heart. 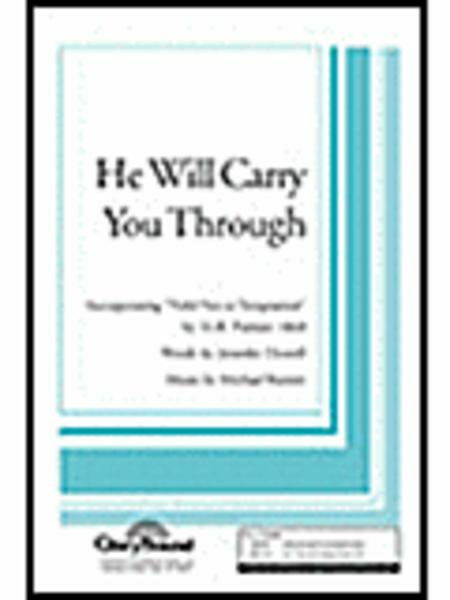 Jennifer Dowell's intimate, original text is joined with lines from the classic hymn, “Yield Not to Temptation,” to create a timeless message for the contemporary church. Michael Barrett's two-part, or optional three-part choral writing complements the gentle “pop” feel of the piece, making it an accessible as well as an effective part of your worship.